The International City/County Management Association (ICMA) presented its highest non-member award to Professor John R. Nolon at its annual meeting in September. The ICMA’s Honorary Member Award is presented to an academic or professional, outside the field of city management, whose contributions to municipal government are exemplary. 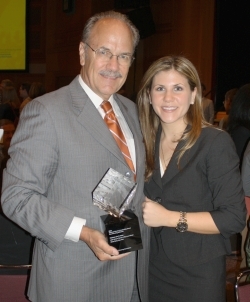 The American Planning Association (APA) awarded John R. Nolon with the 2009 National Leadership Award for a Planning Advocate. The award recognizes an individual, appointed or elected official who has advanced or promoted the cause of planning in the public arena. In selecting John Nolon for the award, the APA cited his work to create and build the Land Use Leadership Alliance (LULA) Training Program "designed to inspire respected local land use leaders and planners to be effective agents of change in their communities." According to the APA, through the LULA program, "Professor John R. Nolon has created the most extensive land use leaders training program in the country.... The impact of his advocacy work goes well beyond the Hudson Valley in New York where the program began, stretching now to Connecticut and Utah.... He is an advocate through his volunteerism, his demonstrated passion for promoting sound community planning, and through his professional focus on scholarship and program development for students, professionals, and community advocates alike." John R. Nolon was selected by Westchester Magazine as one of Westchester County's "Most Influential Residents" for his work at the Land Use Law Center. According to the article, published in November, 2008, "The planet, many of us have come to realize, is in need of help, and, it seems, no one has done more to help our piece of it than John R. Nolon..., the founder of Pace Law School’s nationally acclaimed Land Use Law Center, a training and research center for environmental and land issues. Professor Nolon has taught, through a special leadership training program, more than 1,500 Hudson Valley leaders, decision-makers, legislators, citizens, and activists how to use—and, if necessary, change—local laws in order to protect and improve the environment and support eco-friendly development. 'John is known as the green guru of Westchester,' says Ned Sullivan, president of the 45-year-old and 25,000-member-strong environmental group Scenic Hudson. 'Not only is he a consummate legal practitioner, he is also a highly skilled mediator. I’ve seen him help Westchester public officials at odds over competing visions of land use to forge a shared agenda and move forward.'" The Environmental Law Section of the New York State Bar Association honored Professor John Nolon and the Center's Land Use Leadership Alliance Training Program on January 1, 2007 for "extensive work in educating state and local officials on land use and environmental impacts, which has resulted in a positive impact on New York’s natural resources." On October 27, 2004, Mid-Hudson Pattern for Progress awarded the Land Use Law Center with its Quality of Life Award "in honor of the demonstrated qualities of determination, hard work, sacrifice, ambition, and willingness to help others, to which we should all aspire." 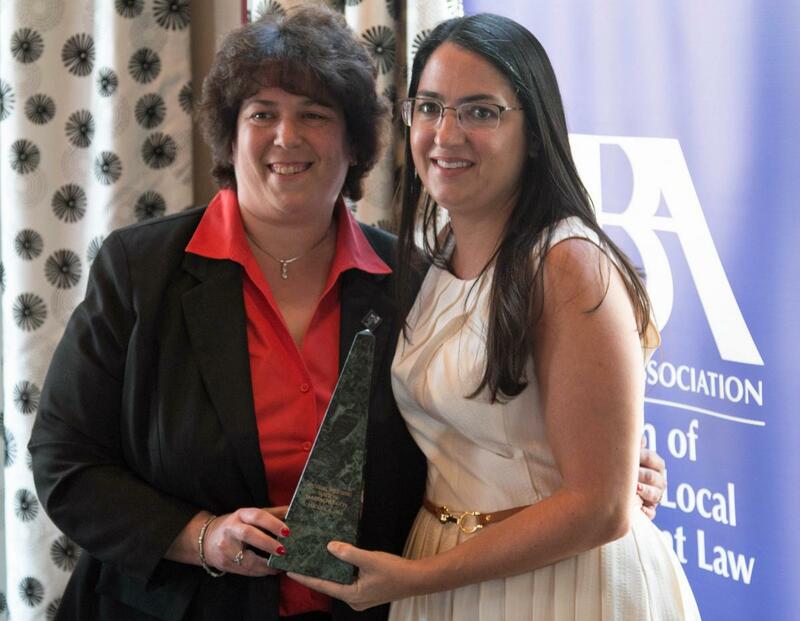 The Land Use Law Center was awarded the Rockland County Executive Hon. C. Scott Vanderhoef Award of Excellence in October, 2004. Westchester Interfaith Housing Corporation honored the Land Use Law Center on May 21, 2004 with its Achievement Award for Excellence, recognizing the Center's work and commitment to supporting affordable housing practices. 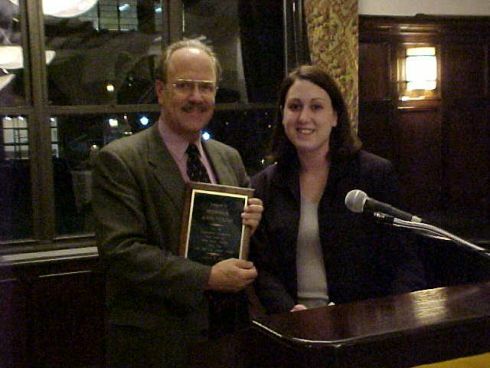 On April 2, 2004, the New York Public Assembly and the League of Conservation Voters Westchester Chapter, recognized John R. Nolon, "an outstanding citizen who is worthy of our esteem and the esteem of the great State of New York" with a Citation "taking note of and publicly acknowledging individuals who serve the best interests of their communities and whose endeavors have enhanced the lives of others in this great State." 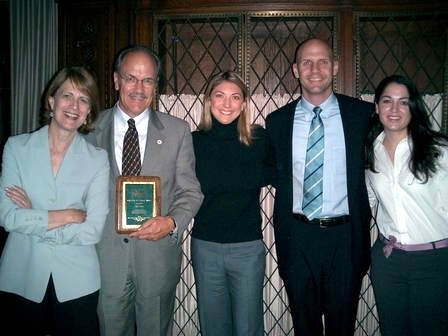 On January 9, 2002, the alumni of the Land Use Law Center honored Professor John R. Nolon with an award in recognition of his "dedication, leadership, and guidance." The Westchester Municipal Planning Federation awarded the Land Use Law Center with its Special Recognition Award on Jun 8, 2000, recognizing the Center’s "successful efforts for planning on a regional level." On May 18, 1999, the State of New York Legislature passed a Resolution honoring John R. Nolon "upon occasion of his designation for special commendation by the Housing Action Council, for giving his time, energies, competence, intelligence, and leadership to serve the best interests of his community. The United States Congress presented John R. Nolon with a Certificate of Special Congressional Recognition on May 12, 1999 for his "outstanding and invaluable service to the community." Warwick, NY honored the work of the Land Use Law Center's staff with a Proclamation recognizing "countless hours of advice, mediation, and guidance to the Town and Village at no cost to its residence, and for facilitating discussions that led the Town and Village to the concepts codified in the Intermunicipal Agreement, which is groundbreaking in New York State. On July 15, 1981, the Housing Action Council awarded John Nolon with a service award "in honor of his inspired stewardship and achievements as the Housing Action Council’s first Executive Director, 1974-1981. A tribute to his pioneering and nationally recognized housing concepts, which have improved the quality of housing and created housing opportunities throughout the neighborhoods of Westchester County." The Westchester Board of Legislators, on February 5, 1979, honored John R. Nolon with a Proclamation "awarded in recognition for his service, knowledge, expertise, and experience as a member of the Special and Select Committee on Advisory on Formulating County Housing Policy, and for serving with great talent and dedication, the interests of the County of Westchester and its citizens." Created a statewide smart growth strategy in the early 1990s. Organized a statewide coalition of smart growth supporters. Developed a model land use leaders training program from which over 2000 have graduated. Created a training program for local land use boards leading to certification. Created the Zoning School — an at-home study course for local board members. Secured 50 official municipal sponsors for its training programs. Digested and evaluated land use laws of over 100 communities. Created a 6000 page electronic library on local land use strategies. Published three national books on land use and conservation strategies. Published 12 technical guides on cutting edge land use topics. Published 20 newsletters on the emergence of smart growth. Published 50 student research papers on land use strategies and innovations. Pioneered the study of Local Environmental Law. Created a Local Development Law Strategy. Developed a nationally recognized Land Use Dispute Resolution Program. Sponsored a national conference on Growth Management in conjunction with The American Bar Association, The National Law Journal, and the Government Law Center. Created an innovative method of processing land use projects. Carried out numerous demonstration smart growth projects with local governments. Assisted in the creation of seven intermunicipal land use councils. Created program partnerships for these programs with institutions representing the private sector environmental advocates, county, state, and federal agencies, and local governments.